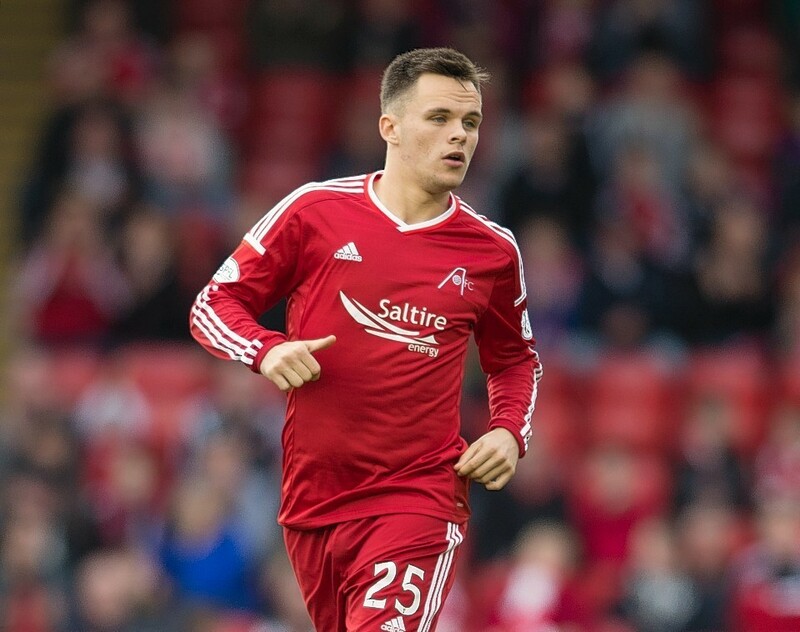 Derek McInnes has praised former Aberdeen forward Lawrence Shankland for getting his career back on track after his failure to make the breakthrough at Pittodrie. The 23-year-old joined the Dons from Queen’s Park in 2013 but was released last year without scoring in 17 appearances for the club. But the forward has been in sparkling form since moving to Ian McCall’s Ayr United last season. Shankland scored 27 times in 32 games last term and has already scored 21 goals in 19 appearances this season. The forward has been heavily linked with a January move to Swansea City with Sunderland also monitoring the player’s progress. Dons boss McInnes said: “He has been brilliant. Sometimes you need to make those steps back to go forward. “I know Lawrence and his family really well. We still keep in touch. “By his own admission he fell short here. He had a lot of growing up to do and had a lot of self-reflection but he has worked extremely hard. “Even when he played in the development team, he always scored goals. “He has always been a good goalscorer but he has got himself fitter and sharper. “He has been at a couple of different clubs but Ayr United seems to be a really good fit for him. “I spoke to him and his agent recently and he is going to have plenty of options come January, I have no doubt about that. “He seems to have become a more complete player and is not just a finisher. It is good to see him doing well as it is with any of your younger ones who don’t quite breakthrough. McInnes, meanwhile, hopes Tommie Hoban will return to full fitness after the winter break. The on-loan Watford defender made only three appearances for the Dons before sustaining a shoulder injury. The Aberdeen manager said: “It is a season-long loan but Watford have a recall as is the case with most of these loans. “He was up at the semi-final and we are in regular contact. “The sling came off last week and he can push on with his work. “Although the operation was delayed a week or so with the birth of his son, he is on track to be back in training by the end of December or start of January.